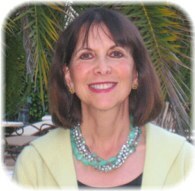 Palm Beach Gardens Therapist: Linda Lipshutz - Therapist 33410. I work with women and men; teens through the elderly. I specialize in working with families in transition--facing marital conflicts, infidelity, separation, divorce and remarriage. I work with many couples who are considering marriage or who are engaged to be married. I love to work with singles of all ages, helping them navigate the dating arena (including internet dating. I consider it a privilege to be part of a person's decision to improve his or her life. Through individual and couple's therapy, I help people uncover patterns that may be holding them back. I have seen my approach effectively provide relief and restore hope to those who are struggling with depression, anxiety, bi-polar disorder, addiction and life transition relationship issues. Most often, I work with adolescents and adults as they face issues relating to family challenges, sexuality, divorce, remarriage and blended family issues. I believe that people can reach their full potential when they forge a powerful therapeutic relationship in a safe, empathic and confidential environment. I tailor my interventions to meet the client's goals. Although my formal training was psychoanalytic, my practice style has evolved into an active, cognitive-behavioral intervention. I am proud to integrate the principles of Emotionally Focused Therapy in my work with couples. As a psychotherapist for over thirty years, I have dedicated my professional life to helping clients look within and gain a balanced understanding of their lives. I received degrees from Cornell and Columbia and trained at the Ackerman Institute for Marital and Family Therapy in Manhattan. I have had additional training through MentorCoach, a program especially designed for experienced mental health professionals to transition their therapeutic skills to a coaching model. Since the 1980's, I have served as a consultant to the human resource departments of major corporations and advised managers and employees on a multitude of workplace and personal issues.